So often ex-shelter dogs are the most loving dogs that can be. When we moved here to Oregon back in 2012 we came with 12 dogs. All but two of them were dogs that had been rescued either from a shelter or an unwanted home. Then there’s Ruby who is the last of the dogs that Jean rescued off the streets of Mexico. Jean and Ruby asleep on the couch. I am grateful for Jenny’s permission to republish her article here. Adopting a dog especially one from the shelter is a serious commitment. Although it is one of the best decisions to make it can get difficult. Therefore it requires you to be prepared to face the upcoming challenges; both mentally and physically. At times people do adopt rescue dogs but end up giving them up as they get overwhelmed. What we need to understand is that it is equally difficult for the dog too. We don’t know what abuse or emotional trauma he has been through. Maybe he lost his actual house and since had been bumping from shelter to shelter. These incidents have a substantial impact on the dog’s personality, and the new home and people may scare him. Don’t worry it gets better and its worth the sparkle you’ll see in his eyes once he gets used to the new atmosphere. You need to have all the necessary supplies in your home beforehand, so you don’t have to run to the store now and then. Get some good quality dog food, whatever brand the vet recommends according to the dog’s age, size, and breed. Also buy a crate, a good quality no-pull leash or harness, a collar, an ID, gloves, and waste bags. As for comfort buy a dog bed according to the dog’s size and bowls for the food and water. Get him some interactive and fun chew toys, so he doesn’t get bored when you aren’t around. Keep a first-aid box in case of emergencies. For now just get the essentials such as gauze, scissors, tape, wet wipes, and an antibiotic ointment. Okay so that’s about it, and yes training treats are a must! Now since you’ve done all the shopping, let’s discuss the in-house preparation. Dog-proofing your house is vital not just for the safety of your pooch but you as well. First and foremost, remove everything that may be toxic to the dog. Canines are an inquisitive creature, so your dog will start sniffing around the house, exploring places he isn’t supposed to. Chocolates, raisins, nuts, and grapes are common foods that may be poisonous to the dog. Same goes for cleaners, chemicals, medicines, and pesticides. Keep all such products locked in cabinets and secure them with a latch. The next task is to prepare yourself for the journey mentally. Remember it is going to be exhilarating but may also frustrate you. Tell yourself that patience is critical; gradually the pooch will learn everything and get accustomed to the house. Dogs feel secure when they have a proper routine and rules that they will follow. Begin by deciding where you will place his bed. It’s better to keep his movement restricted to a small room at first, so he treats it as his home. Next up, decide timings for walks and food. Limit the interactions in the first few days, as that may overwhelm the dog. If possible, take a few days off to spend time with your furry friend and getting to know him better. Once you bring your new friend home, give him a tour of the house. He may be scared so try your best to keep him away from scary situations. If he wants to hide in a corner, let him. Don’t force him to learn everything rapidly and work with him at his pace. Show him the love and care he deserves. 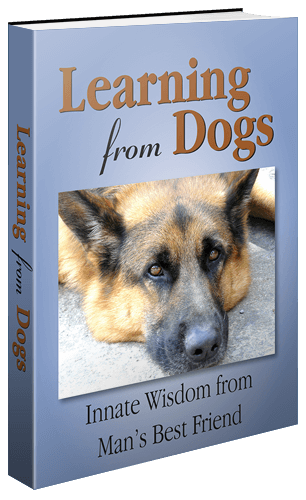 Training will help him adjust better, start teaching him specific behaviors and commands. Only use positive reinforcement methods and teach him the basics like “sit,” “stay.” Keep treats with you to reward him, take him out for short walks, and let him socialize with other dogs. Most importantly work on developing a bond, once it does your dog will never leave your side! That bond that so many thousands and thousands of us humans have with our dogs never, ever leaves us! Terrific article, very well written & informative! Great share! Fabulous to hear that from you, Susan! Thank you! We have had several shelter dogs over the years and they have given us a great deal of joy. The ones who came from abusive/chaotic homes always retained their twitches and quirks but all became very loving hounds. Dogs are all emotion. Ironically, the one dog we had from a puppy, Biddy, has been more effort than all the rescue dogs put together. She is a wild optimist whereas her rescue dog friend, Mitzy, is somewhat of a pessimist. We left them in the kennel for a week, once, and you could tell Mitzy thought that she was back in the pound for good whereas it clearly never crossed Biddy’s mind that we wouldn’t come back for her. Mitzy who had never had walks before she was rescued loves them and runs around like a crazy thing with ears flapping. Its a wonder sight. “Dogs are all emotion.” What an insightful observation! Biologically, of course, that must be wrong and yet it really does describe the dog so well! Our mail is put in our mailbox a little after 1pm and at 1:30pm each ‘post’ day we walk our driveway with all the dogs to collect the mail. A half-mile round trip. The dogs absolutely adore that run and many of them behave like your Mitzy. Indeed, the dogs are getting very ‘antzy’ as the walk time approaches and Sunday is frequently a challenge, for the obvious reason! Wow – fancy having a drive that is a quarter of a mile long! The walk is the best part of the day (followed by tea time, of course). Not infrequently last thing at night Brandy, all on his own, wanders down to the end of the drive, it’s gated, of course, presumably to check things out! When we first had Brandy we worried wondering if had gone walkabout and it motivated me to double check every yard of our perimeter fence. Considering that our property area is a tad over 13 acres, half of it quite hilly forest, that was no mean feat! They have all that space and yet they all like to go with you for the daily walk to the mail box, it must be the daily “hunt” for them. You are most likely correct in saying that! Thank you! Curious, is there any study on the difference between shelter dogs and dogs straight from the street? All of ours have been straight from the street, and that’s proving ‘interesting’ with Max right now. He’s not aggressive, but he won’t submit to Borris (if that’s the right word??? ), and that’s causing some problems. Borris, it seems, just wants a sign that Max accepts him as the “Man,” but Max is in no hurry to yield. Raised the question with Jeannie. Her reply was that generally speaking when shelter dogs are put up for adoption they have been worked on; you don’t know what they were like when they were first rescued. Street dogs seem to be very wily! Interesting! It is. We’ve just asked our local dog whisperer to come round to see if he can work some magic. Problem, Boris and Max are big, powerful boys. The absolute last thing I want is them to go at it. Just trying to stop a fight would damn near impossible, but it’d be worse because it’d probably damage any possible relationship they might be able to form over time. Hope it’s a positive result and that it is shared with your readers!! “Pawsome’ advice for dealing with all dogs, but especially for shelter pets. Thanks for re-publishing.